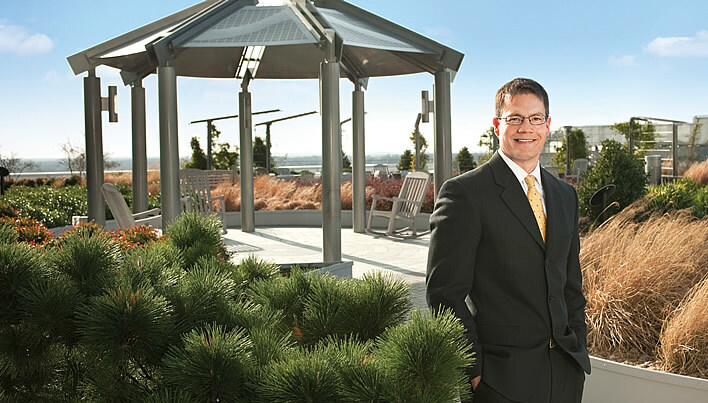 Shawn Heath was named Duke Energy’s chief sustainability officer in early 2012. In this Q&A, he offers his perspective on Duke Energy’s journey to a sustainable future. Why does sustainability continue to be a priority at Duke Energy? We continue to see a compelling business case for sustainability. Simply put, it creates value throughout our company. It’s also a continuation of our proud history of corporate citizenship. And it pushes us to find the right balance among the needs of people, the planet and profits. Of course, actions speak louder than words. That’s why we set concrete goals to work toward every year. Tangible examples of “sustainability in action” include our efforts to reduce landfill waste, to offer new energy efficiency programs to our customers and to develop more renewable energy projects, just to name a few. The benefits of these and other actions, many of which are highlighted in this report, create that business case for sustainability. Sustainability will remain a priority as our company moves forward, because the benefits are real — as are the risks associated with overlooking sustainability issues. How will Duke Energy build on its framework for sustainability? Our overall approach must be as dynamic as the energy industry itself. We must continually adjust our strategies and our actions to account for the changing expectations of our stakeholders, advancements in technology, the political landscape and more. We must continue to deliver affordable, reliable and increasingly cleaner energy. We need to maintain our leading role in providing the innovative products and services our customers want. We must also continue to shape public policy. We’re actively engaged in each of these areas — and we’ll continue to collaborate with our stakeholders to find sustainable solutions to our industry’s issues. We’ve built a strong foundation for sustainability since 2006. Back then, “sustainability” was misunderstood and even rejected by some of our employees and external stakeholders. Today, a growing number of stakeholders are not only interested in sustainability, but also expect the company to be a leader in this area. As a result of engaging our employees in sustainability, dozens of innovations are paying off internally and in our communities. In 2012 and beyond, we will continue to provide employees with the tools and training they need to act on their own ideas, and expand our network of internal sustainability champions. What excites you the most about leading sustainability for Duke Energy at this particular time? We’re going through an incredibly transformative era for our industry. Evolving environmental regulations and emerging technologies will have profound impacts on our customers and company well into the future. I believe that sustainability can provide the road map for Duke Energy to successfully navigate this uncharted territory. No single person or department “owns” sustainability at Duke Energy — it is a collaborative effort. Sustainability leadership is evident throughout our company, but it must also become part of our organizational DNA. I firmly believe we’re heading in that direction. Duke Energy has always been about providing electricity and gas services — and so much more. The way we go about our business has a direct and lasting impact on the communities where we operate, the customers we serve, the shareholders who invest in our business and, of course, the environment. We recognize and embrace the opportunity in front of us — to conduct our business in a way that is truly sustainable.